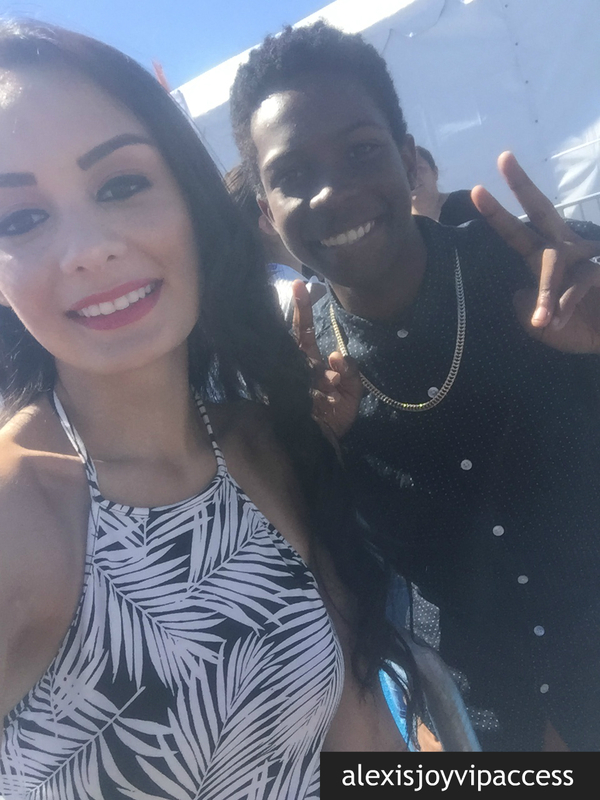 VIPAccessEXCLUSIVE: Lethal Weapon’s Dante Brown Interview With Alexisjoyvipaccess At The 2016 Mattel Party On The Pier! Ever since the highly-acclaimed series, Lethal Weapon made its way onto our TV screens, we have been nothing short of obsessed. The show has been and continues to be a trending topic and it’s something that everyone is talking about, everyone is watching, and it’s basically everyone’s favorite show to binge-watch. Then again, how could it not be?! The show is based off of the “Lethal Weapon” movies and the show has such a stellar and all-star cast that brings the stories in each episodes to life in such a marvelous way. Meet everyone’s favorite actor, the one and only Dante Brown, who stars as Roger “RJ” Murtaugh Jr on the show. Dante Brown does such an exceptional job taking on the role and he is truly a brilliant and superb actor. Dante Brown plays the role of a teenage boy who wants to make his own mark in the world and follow his own path. Every time a new episode airs, we are totally glued to our TV screens and Dante Brown and the remarkable cast of Lethal Weapon have truly made a masterpiece of a show. I, Alexisjoyvipaccess had the great honor of covering the 2016 Mattel Party on the Pier event for the third year in a row and had an excellent time interviewing the multi-talented Dante Brown at the event. Dante Brown dished exclusively to Alexisjoyvipaccess all about what it is like working on Lethal Weapon, what his favorite episode is from the show including all of the cool things coming up in future episodes, and so much more only in our VIPAccessEXCLUSIVE interview. Dante Brown even sends out an inspiring and positive message to all of his fans – hear what he had to say in our VIPAccessEXCLUSIVE interview below. Thanks for the fun interview, Dante – it was a blast chatting with you! Check out my VIPAccessEXCLUSIVE interview with the amazing Dante Brown at the 2016 Mattel Party on the Pier below! The Mattel Party on the Pier is a fantastic event perfect for families and friends to attend together. It’s a fun-filled day with many exciting activities, awesome rides, and the best part of it all is that it benefits the Mattel Children’s Hospital UCLA! Follow @MCHUCLA on Twitter and join in on the conversation by using #MattelPOP! Previous VIPAccessEXCLUSIVE: Jet Jurgensmeyer Updated Interview With Alexisjoyvipaccess At The 2016 Mattel Party On The Pier! Next VIPAccessEXCLUSIVE: The Remarkable Johann Vera Interview With Alexisjoyvipaccess At The 2016 Latin American Music Awards!